With our professionally installed security products, you and your family can feel safe and protected all year round. 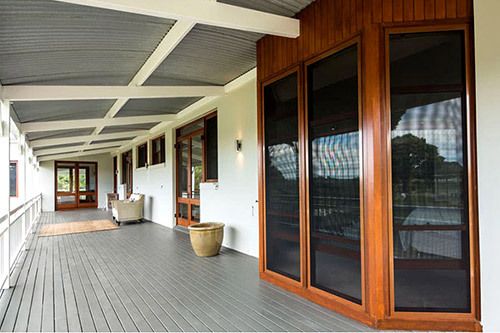 We only deal with Australia's best supplier, Prowler Proof which is backed by strong warranties to safeguard your investment for many years to come. 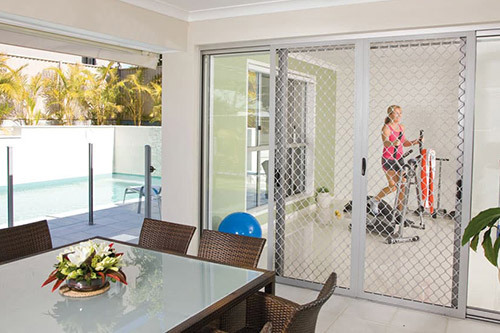 With its welded, seamless corners Prowler Proof ForceField is Australia’s strongest and best looking aluminium security screen with a full 10 year replacement warranty. Choose between Small Diamond and the Large Diamond designs with the revolutionary SnapLock system that makes it possible to choose any colour frame to match the black mesh. 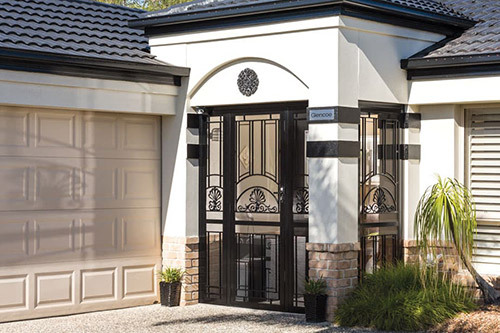 Rust-free cast aluminium Heritage panels are welded on all contact points to a heavy duty aluminium frame that is virtually immune to corrosion with a 7-stage powder coating finish. Servicing ALL Brisbane areas including Griffin, North Lakes, Mango Hill, Murrumba Downs, Warner, Dakabin, Narangba and Kallangur. The security doors look great and we are very happy with them. Thanks for your great work and professionalism. Much appreciated. AWESOME - great work! Prompt and efficient. Thank you so much for the work you have done. We are very happy with the finished door and screen. Door looks great and the tenants said they were really impressed by how professional the installer was and the repair on the other door is greatly appreciated as well. Dean what a surprise, it was the best one ever, I love the door - Merry Christmas. Hi Dean, thanks for repairing the screen door, it's fantastic and so quiet now. Dear Dean, thank you for your excellent service. Thanks for a great job, the screens are fantastic. The tenants say the screens look great. Many thanks for completing this job before Christmas. I am very pleased with the work. The front door is stunning and the colour perfect. Thanks Dean, the screens look fantastic. The automatic closers on the doors are fantastic as now we don't have to remind the kids to shut the doors. We would be very happy to recommend you to any of our friends or anyone who asks for security products.